The great Dorothy L. Sayers is considered by many to be the premier detective novelist of the Golden Age, and her dashing sleuth, Lord Peter Wimsey, one of mystery fiction’s most enduring and endearing protagonists. Acclaimed author Ruth Rendell has expressed her admiration for Sayers’s work, praising her “great fertility of invention, ingenuity, and wonderful eye for detail.” The Dorothy L. Sayers classic, Strong Poison, is now back in print with an introduction by Elizabeth George, herself a crime fiction master. 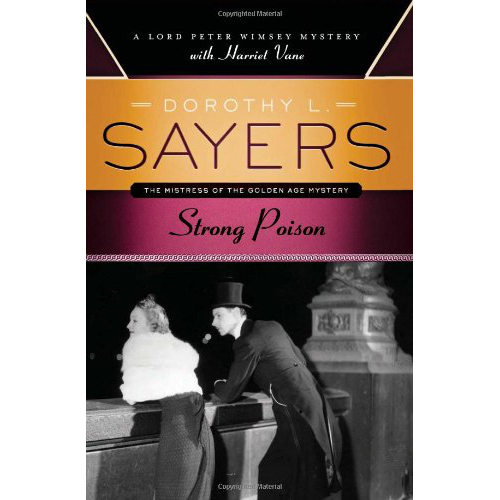 In Strong Poison, Sayers introduces Harriet Vane, a mystery writer who is accused of poisoning her fiancé and must now join forces with Lord Peter to escape a murder conviction and the hangman’s noose.